They'll gobble up the candy corns from Tom Turkey! 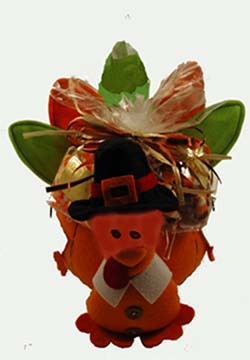 This delightful felt gobbler is carrying three kinds of candy corns: traditional, caramel apple, and Indian. He’s a show stopper – for only $16.99.